Did You Know that 43% of Search Queries Have Local Intent? Let’s think about the online marketing strategy that we discussed in the first part of our local SEO series. If you want to increase lead generation through forms or phone calls your local franchise target audience is locally based, right? Right, and one of your main SEO efforts should be local presence in search engines and major business directories. This will help you meet your online marketing goals and increase traffic to your franchisee websites. Now how do you get started? As part of the “marketing team” of your franchise there could be many scenarios in place. You are probably familiar with some of the local listing basics like Google Places, Yahoo local and others. Whichever of the three scenarios you may be in we will help you set a clear local listing strategy guaranteed to provide results! 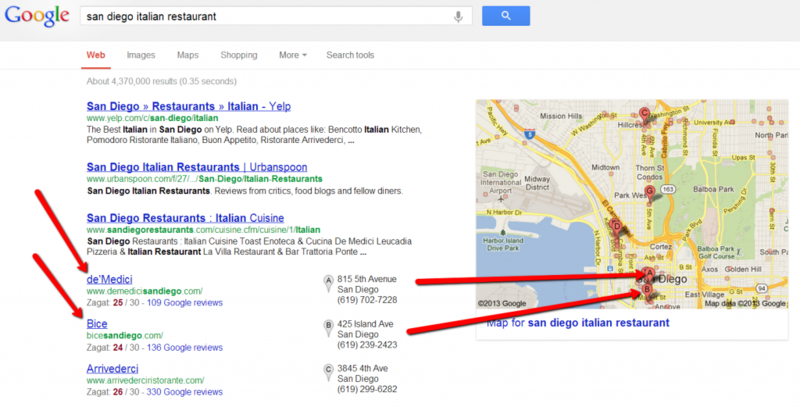 The tricky part of localized SEO is keeping track of all your franchise’s local listings. I mean who has the time right? In this article we will cover some of the basics of local listings, optimization, multiple listings and tracking local listing success. What do you expect from local listings? Are your franchise’s listed locally? Are your current local listing optimized? Are there any rogue local listings? Once you have clear answers for the questions above it’s time to get started organizing and setting goals for your local listings. First you need to organize all your franchisee locations. This can be done in a spreadsheet with the following basic information. Here is an example spreadsheet that you can use: Franchisee Local Listing Tracklist Once you have all your franchisee information gathered inside your spreadsheet we will now create a listing. There is no doubt that the preferred search engine of choice is Google. Recently Google merged it’s local business listings with Google+ and calls it now Google Places. With 67% of the search market Google is where you want your local business to be listed. Remember that 43% of of total Google search queries have local intent and that can do wonders for your overall online marketing strategy! Let’s take a quick look at how Google displays local listings. As you can see in the image above a localized search returns both organic and local listing results. 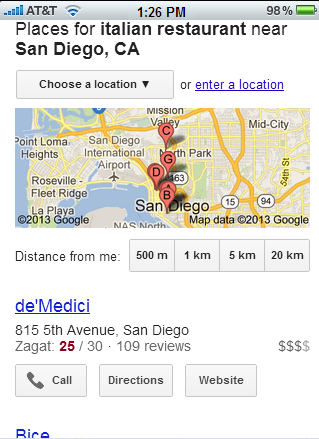 In this particular case since it is a restaurant search Google has included Zagat reviews. Here’s what the same search looks like in a mobile device. Same local listings show up. Now do you see why local listings should be an integral part of your online marketing strategy for your franchisees? They are missing out on business opportunities if there is no listing or the listing is not optimized. Get Listed! Get Found! Get Business! While we are not going to cover a step by step of all the local listing sites, we will cover one the most important ones. We will walk you through the listing process, optimization and measuring results that you can share with your franchisees. There are a number of local directories where you can submit your local franchisee websites but there are a handful that are FREE and very important. To get listed on Google it’s absolutely free all you need to have is a Google account. For franchises Google is the only major local search site that offers advertisers the ability to set up and submit bulk business listing feeds direct (and for free) via their Local Business Center Website. All other local search sites require payment for bulk submissions or don’t offer direct bulk feed capabilities at all. Check out this example spreadsheet for Google local listing bulk upload. If you need to manually add single listings let’s go through the steps. 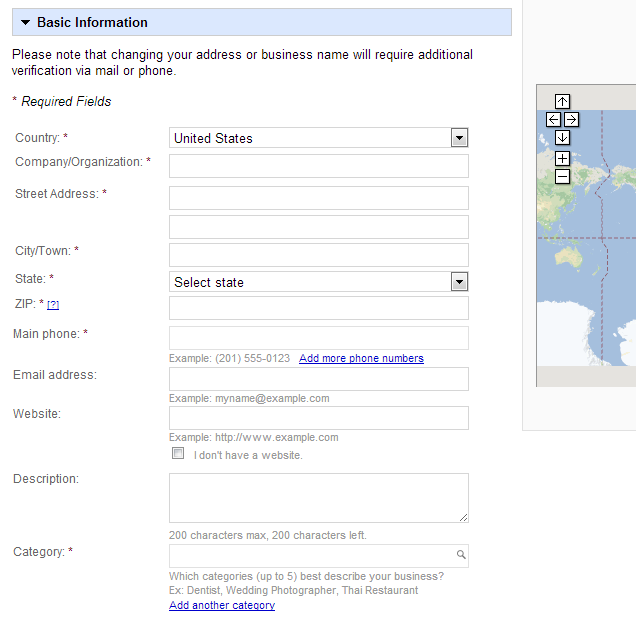 Step 3: Indicate where your business is located and a phone so that Google can search for matching listings. If a listing has been created using the phone number you provided you will be given the option to “edit” or “add a new listing”. In this example we will create a new listing from scratch. We will stress here that you MUST fill out all sections with as much information as possible. This will guarantee that your listing is optimized and whenever a search query pertaining to your local business takes place, all important information will be readily available. Add photos (local and service related 256 X 256 pixels) Franchisee can help here. Once you have completed the listing details you will be able to confirm the listing via a postcard that Google will send to the physical location with a verification PIN. You will need the help of your franchisee with this part so it’s important that prior to creating the local listing you notify your franchises about the postcard via a newsletter or any other type of periodic communication. Your listing will begin to appear in local results in about 1-2 weeks after confirmation. After a few weeks you can return to your dashboard and measure your SEO effort by checking how many impressions the listing received and how many actions took place on each listing. You can also view search queries that landed on your listings. These can help optimize and modify your on-page SEO strategy. You can also add location specific offers and specials that are view-able for 30 day periods. Learn more about offers using this link. So we have covered why it’s very important for your local franchise websites need to show up in local search queries and how you can match this up to your current online marketing strategy. In our next article we will talk about tracking and analytics so that you can measure the success of your online marketing strategy. If you have any questions or comments please feel free to email us.